These easy Copycat Rosemary Pecan Raincoast Crackers taste just like the ones at the gourmet markets! If you haven’t had the popular Raincoast Crisps from the gourmet markets, you’re in for an amazing treat. Even better, if you’re familiar with and love these delicious crackers, you’ll flip when you find out how inexpensive and easy these Copycat Rosemary Pecan Raincoast Crackers are to make at home! Have I enticed you? I hope so because I know you’re going to want to have a stash of these shatteringly thin, super crunchy, Copycat Rosemary Pecan Raincoast Crackers on hand at all times. 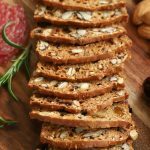 They’re loaded with an abundance of healthy seeds as well as pecans, raisins and a generous portion of chopped, fresh rosemary. Lots of ways to love these crackers! If you’re like me, one bite will send you into a lifelong love affair! These crackers are wonderful with soups and salads and pair nicely with cheese, appetizer spreads and hummus. They also make a yummy snack with a swoosh of peanut or almond butter and a few apple slices. I like to nibble on a couple of them with a cheese stick as an energy booster before my morning walk. Why not just purchase these crackers? Well, I’m glad you asked, as there are several really good reasons. First of all, they’re ridiculously expensive to buy. One six ounce package (about 30 crackers) sells for between $6.99 and $12.85 (Amazon). That almost sounds like they’re made of gold! The wonderful thing is that you can make several batches of these Copycat Rosemary Pecan Raincoast Crackers for $6.99. And each batch yields right around 8 dozen (96) crackers! Another reason to make your own is they actually taste better than the “gourmet” market ones. I bought a package to compare the two versions. The homemade crackers actually have more flavor and I know exactly what’s in them – one more bonus! Check out the recipe below and stock up on pecans, raisins, sesame seeds, pumpkin seeds and flax seeds. You’ll also need a container of buttermilk (or you can make your own, see below). You won’t need a mixer; just throw all the ingredients in a bowl, give everything a good stir and divide the batter between four small loaf pans. The little loaves are baked, cooled, then sliced thin and baked a second time to achieve that super crisp texture. Make plenty, as they’ll go as fast as you can blink your eyes. 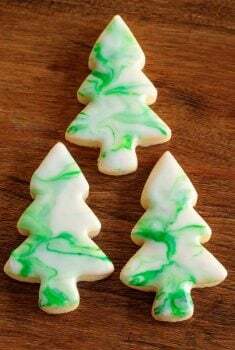 I took a big container of these Copycat Rosemary Pecan Raincoast Crackers to my daughter’s for a family get-together. I was sure there would be plenty left over for some other company she was having after we left. Nope, the whole batch was gobbled up (by young and old alike) almost before anyone could say Copycat Rosemary Pecan Raincoast Crackers! You can make these Copycat Rosemary Pecan Raincoast Crackers in just about any size pan, but if you want your crisps to be just like the Raincoast Crisps, use small bread pans like these. I’ve had these pans for several years now and really like them; they’re super well made and are also dishwasher-safe. Mine still look like new even though I’ve used them many times. 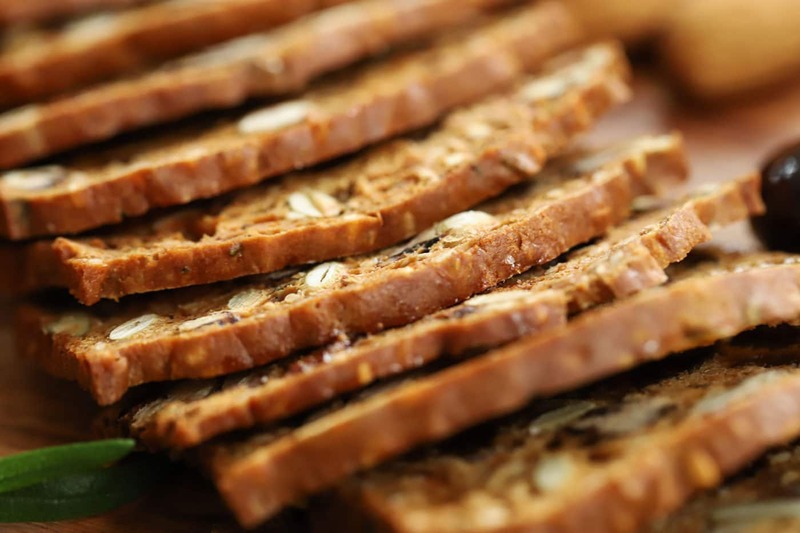 The recipe for these crackers calls for pumpkin seeds (pepitas), sesame seeds and flax seeds. You can find most of these seeds at larger grocery stores. You can also buy them in bulk at health food stores and specialty markets like Whole Foods. I find them really cheap at a nearby Mediterranean grocery. If all else fails, these seeds are readily available online. All of the seeds needed for this recipe will freeze well. I keep a stock in my freezer, so I always have the ingredients on hand for these delicious crackers. 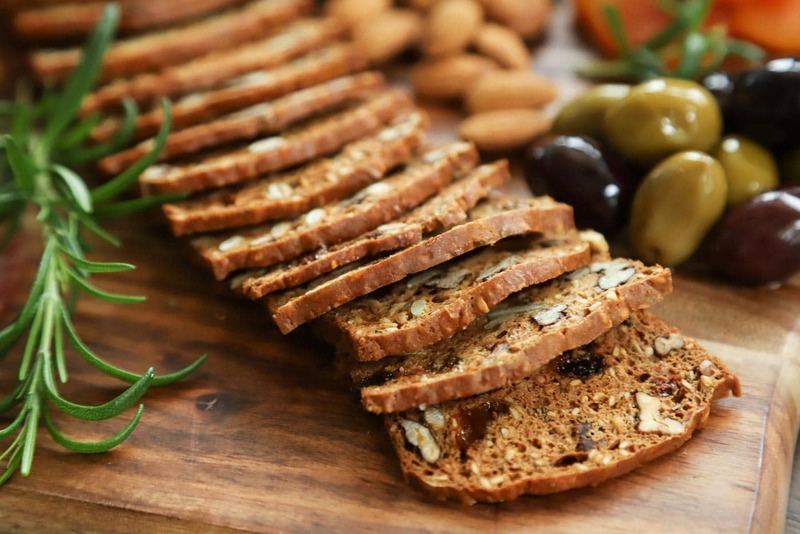 Like biscotti, these Copycat Rosemary Pecan Raincoast Crackers require a double baking. The loaves are baked, cooled, then thinly sliced and baked again for that shatteringly thin crispness. The loaves will freeze nicely. Sometimes I make four loaves, sliced two into crisps and freeze the remaining two. I can have an easy appetizer/snack in less than 30 minutes. No buttermilk? No problem! Easily make your own buttermilk substitute by combining 2 cups of milk with 2 tablespoons of fresh lemon juice or vinegar. Just give it a stir and let it sit at room temp for 5-10 minutes. When the mixture thickens a bit and you see a bit of curdling, it’s all set to go. I like to use golden raisins in these crackers, but regular raisins are also delicious! If you have a wire cooling rack that fits inside or over a sheet pan, you can do the final baking without having to flip the cracker. Just watch them carefully after about 15 minutes, as they will take a few minutes less to crisp up. I actually published this recipe way back in 2011, the year I started the blog. The pictures weren’t great and it was buried deep in The Café archives. Scott took some new pictures and I’ve rewritten the post. These Copycat Rosemary Pecan Raincoast Crackers are way too good to be lost, so Bon Appetit! There are a few variations I created over the years you might enjoy as well; California Fig and Pistachio Crisps and Copycat Trader Joe’s Pumpkin Cranberry Crisps. These Copycat Rosemary Pecan Raincoast Crackers taste just like the ones at the gourmet markets and they're easy and inexpensive to make - one bowl, no mixer! Preheat oven to 350 degrees F. Spray 4 small (6"x3") loaf pans with cooking spray or oil generously. Set aside. Line two sheet pans with parchment paper and set aside. In a large bowl, stir together the flour, baking soda and salt. Add the buttermilk, brown sugar and maple syrup (or honey) and stir a few strokes. Add the raisins, pecans, pumpkin seeds, sesame seeds, flax seeds and rosemary and stir just until blended. Pour the batter into the prepared loaf pans. Bake for 25-30 minutes until golden and springy to the touch. Allow loaves to cool in the pans for 10 minutes then remove and cool completely on a wire rack. Once cool, freeze for 45 minutes. This will make it easier to thinly slice the loaves. Preheat oven to 300˚F. Slice partially frozen loaves thinly and place the slices in a single layer on prepared sheet pans. Bake for 15 minutes, then flip them over and bake the slices for another 5-10 minutes or until crisp and golden. Cool completely and store in an airtight container. See Café Tips above for additional instructions. I made them almost exactly according to the recipe (substituted half the raisins for dried cranberries) and they turned out fabulous. I made them in 3 small loaf pans, as I didn’t have 4, and the size of the crackers is perfect. 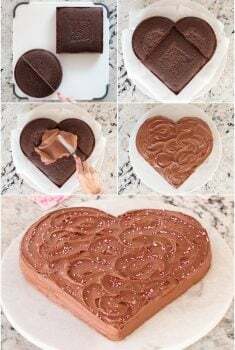 I think they are much better than store bought and easy to make. I’ll definitely make these again! WOW! What can I say…….these are the best crackers I have had! Perfect…….didn’t change a thing in your recipe. Froze them overnight then sliced them with the electric meat slicer…perfect! 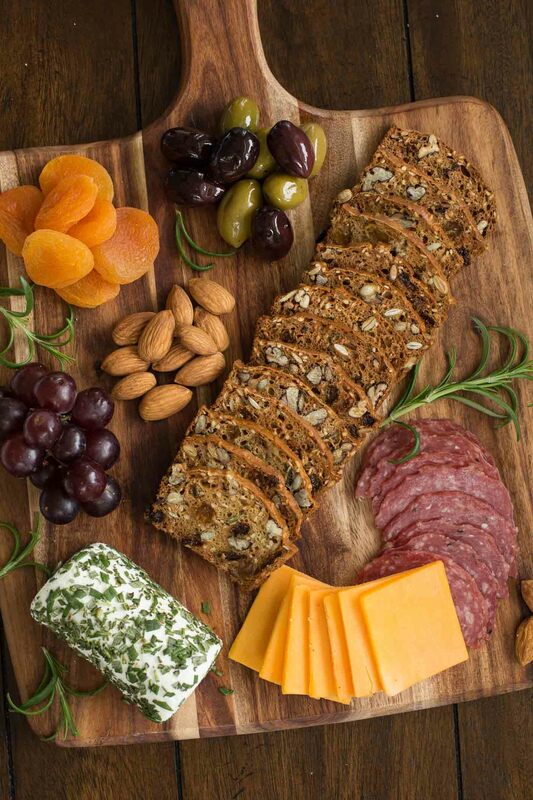 Never will I buy them at TJ’s again….easy peasy to mix, bake, slice and eat with cheese and wine! Will serve them to some friends at a cocktail party, I’m sure they will be a hit! Thanks so, much, Nancy! Love the idea of using an electric knife. So smart! Hi Theresa, hmmm, I’m not sure why that happened. I’ve never encountered that. This is my 3rd batch of making these wonderful crackers. I gave a couple of dozen as Christmas gifts and they all enjoyed them immensely. Thank yo so much Chris for the great recipe. Will be making them again and again! Thanks for this awesome recipe! I didn’t have pistachios or dried figs at home so I decided to give these crisps a try first. They turned out great! I forgot to adapt the freezing time (I used bigger pans) so cutting the loaves were a bit tricky. I also had to bake them a bit longer to get a crispy result but they taste wonderful! One question though: Is there a reason why you shouldn’t mix the dough thoroughly? I always worry about those lumps of flour. Just baked these for a party I am having and again not disappointed in your recipes. I sliced some thin and some not too thin so will stick with thin next time (I simply baked the thicker ones a little longer). My other suggestion is that I used an electric knife, worked like a charm. I guess I will be trying the pistachio ones next. Thanks, Claire, for leaving your review. I love the idea of using the electric knife, brilliant! I have one but never thought to use it on these crisps! 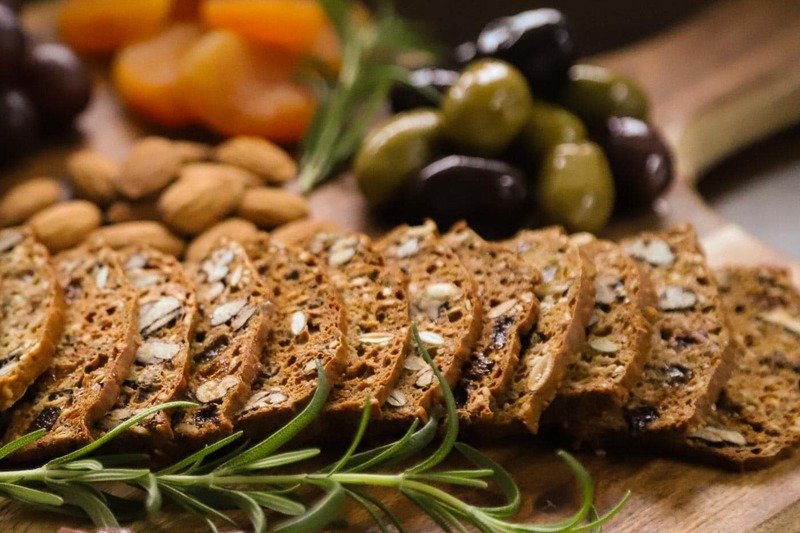 These crackers look so irresistible, love the mix of rosemary and pecans! Oh my goodness Chris, Thank you from the bottom of mine and my husband’s stomach /heart! We received a package in a wonderful Christmas nibbles basket and we looked at each other after eating several, and said “we have to find a way to make these!”. Our Christmas wish came true, you! 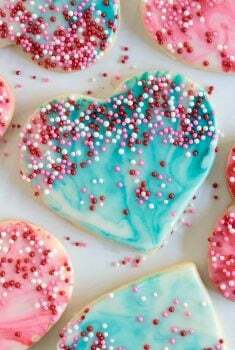 I am going to make and bake loads and loads of these to eat and freeze. Thank you, thank you, thank you…. We tried these and were just thrilled with the result. I will make them often now, especially for potlucks. Nice to know that when I try your recipes u won’t be disappointed. Not so with many of the food bloggers out there. Thank you. Since no store in our area carries the original, I am certainly happy to have your copycat version. Thank you Chris. These are just perfect, Chris, we must have bought 10 boxes of them during the holidays, and now I’m realizing how much money I could have saved! Happy New Year! I’ve never made these kind of crisps – they look so delicious. I love all the seeds and raisins – yum! Happy New Year Chris! We had the real Raincoast crackers on Christmas Day 😉 I’ve actually made the copycat ones before but mine didn’t turn out well. Looking forward to trying your recipe, Chris, because I enjoy these crackers so much. I always cringe when I see the price of these ring up when I buy them in the market! I need to start making my own! Thanks for sharing this wonderful recipe again 🙂 Happy New Year, Chris!!! I’m trying to go gluten-free. These crackers sound wonderful! Do you think they would work with a gluten-free flour, or combination of GF flours? Any suggestions? I would just try your favorite all-purpose gluten-free flour Nona. Although I haven’t tried it, I think it should work fine. These loaves are very adaptable. These look absolutely wonderful and I plan to try the recipe. For the past several years I’ve made a slightly different version, which contains cranberries instead of raisins (I rehydrate them in hot cranberry juice or hot water for 15 mins., then drain well), sunflower seeds in place of sesame seeds and the flour is whole wheat. BTW, fresh rosemary is an absolute must, don’t even think about using dried!) I have a baking pan the contains 8 loaf pan sections that are 2×4 inches which I bake them in. 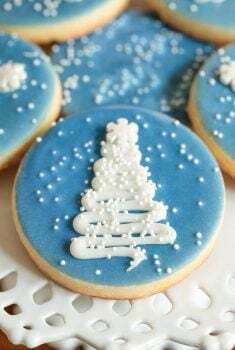 They are a Christmas favorite to “cleanse the palette” from all the super sweet goodies. Yes, cranberries are wonderful too! I love your version and agree with you about the rosemary! These look great! I love the fig and pistachio crisps too. I am allergic to pecans and walnuts. 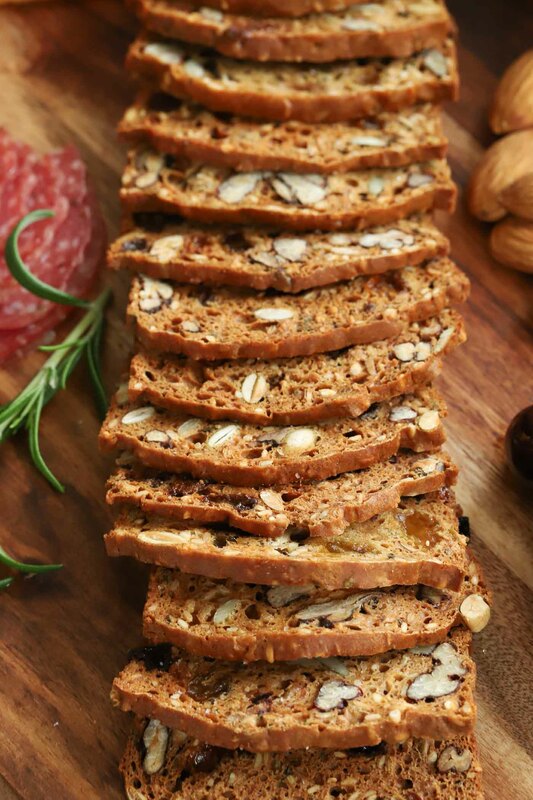 Do you think almonds or pistchios would work instead of the pecans? Hi Laura, pistachios or almonds would be wonderful! Pistachios look especially pretty in these crackers! Just finding a notification in my emails brightens my day! Viewing your posts, with your recipes, and lovely photos, makes me happy! Fresh, lively, always full of fresh herbs, spices, and wonderful ingredients, along with a beautiful presentation, tempts me, to try your recipes. I’m never disappointed, and always delighted. Chris I can’t wait to make these. I was at TJs and some older man (older than me) made me buy the fig crackers and port salut cheese. So good, but I bet these will be even better. I think you’ll love these Madona! They are gorgeous..I have tried and tried to make crisps and they are rubber instead of crisps.You are so talented! Monique, you just haven’t baked them long enough. If you cool them and they’re not really crisp, just pop them back in the oven for a few minutes. Did you flip them during the second baking? One other thing, the wire rack trick (see in Café Tips) really works great to crisp them up. Gorgeous crackers with so many quality ingredients! You are right..why bought them when you can make these at home?